EnergyCAP uses weather-normalized energy use to calculate annualized EUI and displays it on a trend chart. EnergyCAP can also roll up EUI values at every level of the organizational hierarchy. 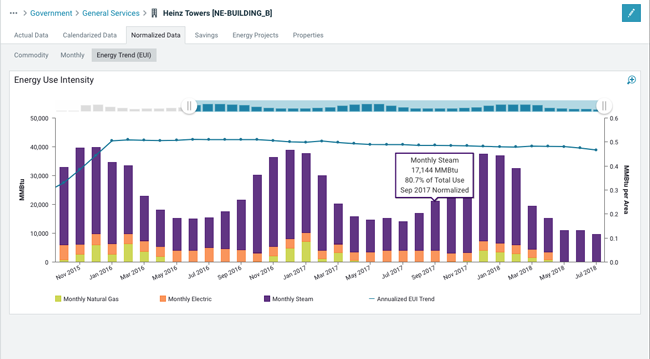 This functionality provides a valuable picture of long-term energy efficiency trends for each department, division, region, and business unit, as well as for the entire organization.